most appliance brands and types. Same-day appliance repair is what we do best. We keep our vehicles well-stocked to complete repairs in one trip whenever possible. We’ll pick up any parts we don’t have on-hand if they’re in stock with our local supplier. All of our technicians carry insurance and undergo extensive appliance repair training before running service calls independently. We guarantee quality workmanship and a friendly service experience. If something goes wrong, we’ve got you covered. 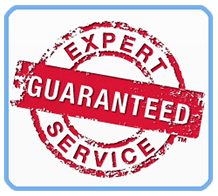 If problems arise related to the original repair, we’ll resolve the problem free of charge. ASAPpliance stands behind every appliance repair. ASAPpliance Repair provides appliance service fast with simple policies and unmatched customer service. By offering speedy service, standing behind our work, and employing a focus on customer satisfaction, we aim to exceed your expectations and become a trusted source for appliance repair. 1. Same-day Repairs are usually provided prior to 3:00 PM. Our operating hours are Monday-Saturday, 8:00 AM – 5:00 PM — and we do provide holiday and emergency service. 2. Easy, 3-Hour Service Windows. Our technician will call you before meeting you, giving you the freedom to go about your day as normal. 3. Honest and Experienced Technicians. Our technicians are expertly trained and EPA certified, ensuring proper appliance experience for any repair. 4. We strive for customer service excellence. Give us a call and you’ll experience no confusing call menu. You’ll be routed directly to a helpful appliance service representative. 5. Our pricing and warranty terms are simple and transparent — and there are never any hidden fees. 6. We also provide resources for improving energency efficiency and appliance lifespan, among others. We provide service to the Charlotte metro area — from Belmont to Mooresville, east to Kannapolis and south to Monroe — then back west to Rock Hill. ASAP employs appliance techs throughout the Charlotte metro area and is able to provide same-day service before 3PM on most days. 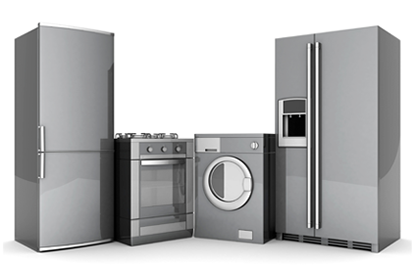 We offer most appliance repair services to our customers: refrigerator repair, freezer repair, dryer repair, washing machine repair, oven repair, stove repair, range repair, and garbage disposal repair. We offer appliance repair services for all common brands, including LG, Samsung, KitchenAid, Maytag, Jenn-Air, Kenmore, GE, and Whirlpool. UNSERVICEABLE APPLIANCES: at this time ASAPpliance Repair does not service microwaves, small appliances, trash compactors, or walk-in coolers. In addition, we do not currently work with the following brands: Asko, Dacor, DCS, Fisher & Paykel, Gaggenau, Miele, Thermador, or Wolf. Want to learn more about us? Find out what sets us apart from other appliance repair companies in Charlotte.